Eurobike 2016’s convention was an incredible display of the best and newest technology and devices that the biking industry has been creating over the past year. The Eurobike judges awarded 12 Gold Awards as they do every year, for the most incredible products shown at Eurobike. The following are some of our favorites, ranging from smart apparel, to innovative gear, to new component parts. Shoes are first up on our list. Apparel is very important in biking, especially racing and endurance cycling. 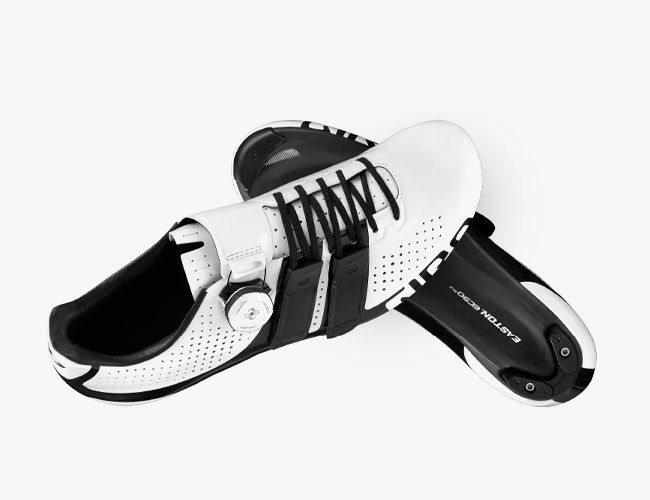 The Giro Factress Techlace is an incredible new shoe that offers an outstanding closure system, which is extremely important for riders as they cycle. The workmanship and material used in the Giro Factress Techlace are top-notch. The Factor Techlace is cycling shoe that is race-bred and is revolutionary dueto the new Techlace system and Boa Closure System by Giro. With a low weight of only 210 grams (using a size 42.5 as an example), the design is spectacular too. Giro’s patent-pending Techlace couples the use of laces with the cycling benefits of straps. With a secure and perfect fit with easy, on-the-fly adjustment, you can be sure that you are wearing the best racing shoe available. What Techlace does is replace the D-rings and other hardware with laces, which offers a great feel across the foot. Also, the laces are very easy to replace if you want to change color or replace damaged ones. 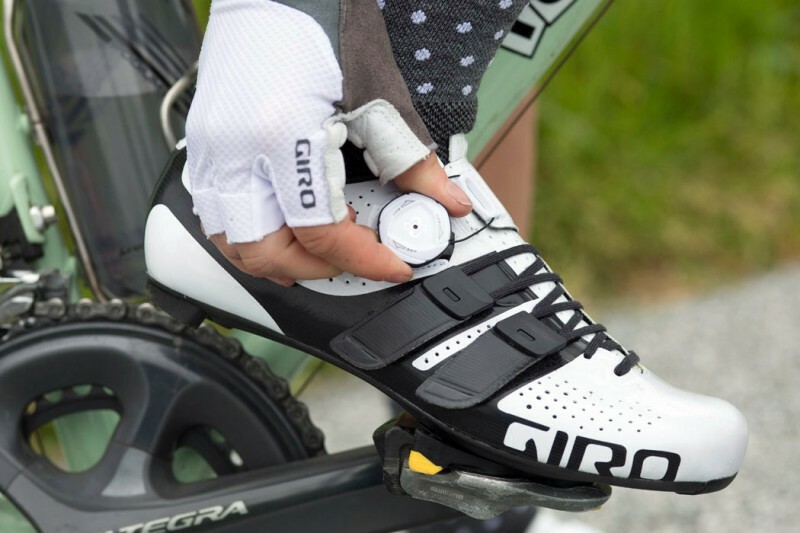 With the adjustability of two straps, Giro also added the Boa Closure System in order to completely secure the adjustment area at the top of the instep — this is accomplished by Giro’s premium “IP1 dial.” This dial offers quick adjustment options in 1mm increment for tightening or loosening. You can choose from a variety of sizes and shoe colors as well as women’s specific options. The cost of these shoes varies from the $250 options to the $350 options. 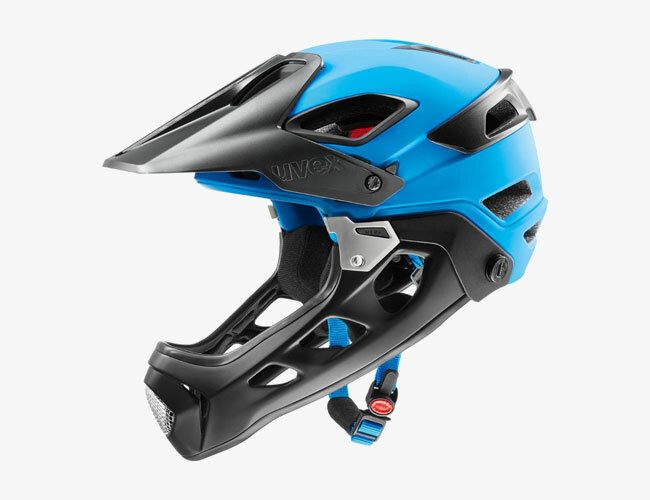 The Uvex Jakkyl HDE is an extremely lightweight helmet that is not only designed to be functional as a road / mountainbiking helmet, but it also has multiple purposes. A detachable chin protector made of laminated fiberglass makes this easy and quick transformation between full and half shell possible in no time. The monomatic button-press adjustment is located on the chin strap. The chin strap will always sit perfectly because it is anatomically shaped and the monomatic comfort closure opens and closes at the touch of a button. There are three different color variants you can choose from. These Uvex Jakkyl HDE helmets are available in the following sizes: 52-57 and 56-61. Eurobike 2016 was the perfect place to show off this new versatile helmet. The best part about it is the helmet can adapt to any terrain and/or trail. You can ride uphill and down with visibility for both — you can ride on the streets or go mountainbiking. The goal of the creators (Uvex), was to make a helmet for every rider and cross-riders — one with the right balance, ventilation, a competitive weight, versatility, and most importantly — maximum safety. 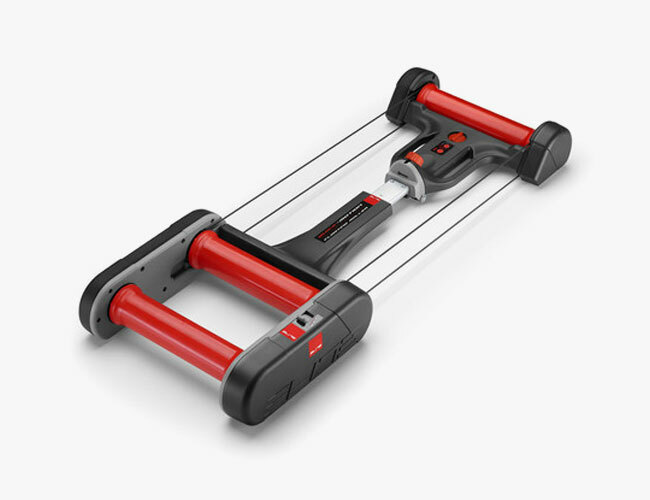 The Quick Motion by Elite It has realistic floating-system rollers that aid in balance during cycling training. These parabolic rollers are durable and are an incredible new free-rotating piece of gear for serious cyclists. This gear folds away into an extremely space-saving size (into three parts), and there is very low noise during its operation. If you are training or want a great hometrainer system, this Quick Motion is the best there is. It is well made and features an integrated handle for easy transportation. This device adjusts to match different wheelbases, so most bikes will fit; and it was a clear hit at Eurobike, where it won one of the 12 gold awards. It works via the 3-level integrated magnetic system. The floating frame is exclusive to this unit and the longitudinal oscillating system absorbs inertia generated by your movements as you ride. It compensates the center of gravity travel which makes making training on these rollers natural. 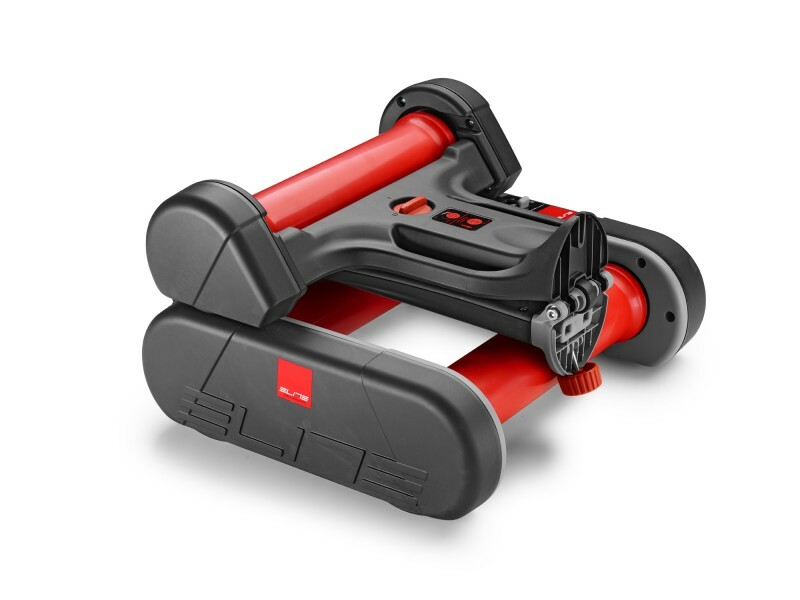 The rollers themselves are perfectly balanced and are 85mm in diameter. The parabolic rollers (which are 100mm in diameter at the ends) are precise and will direct the bike to the center of the roller. The stability is optimized and this safe-to-use device even comes with power training sessions with pre-set programs and levels. Voted as the “Innovation of the Year” by the German Roadbike Magazine, and one of the 12 gold award winners at Eurobike 2016, the SRAM Red HDR is a technological advancement in biking. 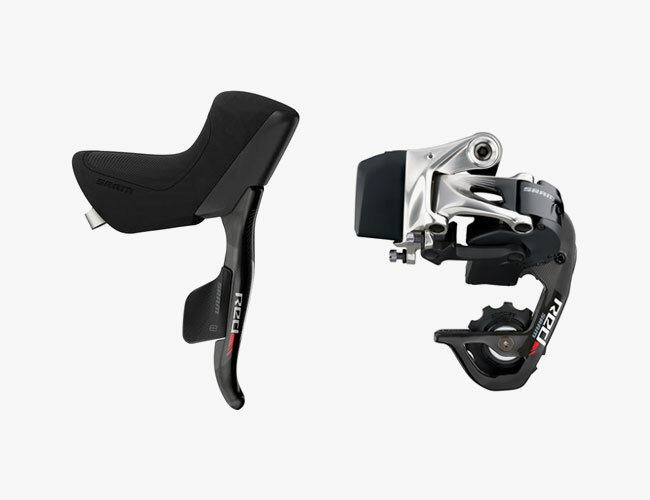 This electronic shifting system — called SRAM RED eTap, is everything you ever wanted. This wireless sequential shifting tech from SRAM has been exciting pros and novices alike. This shifting system has been additionally augmented by disc brakes in order to produce a modern combination that is right in line with current cycling trends, while also changing the market by upping the ante. 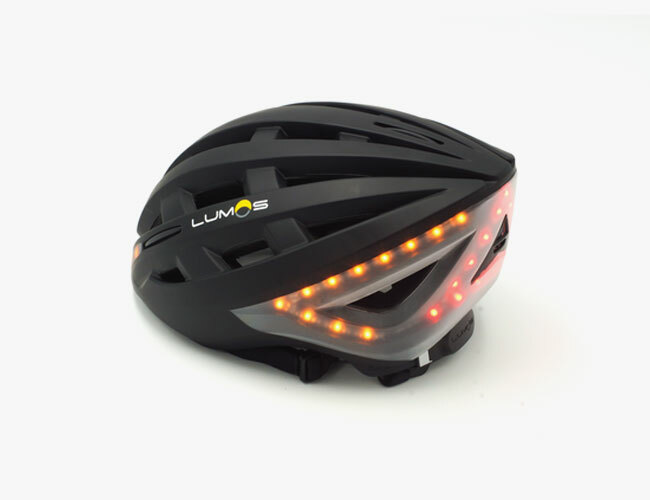 The Lumen Labs Helmet by Lumos is an incredible helmet that will keep you safe in nearly any terrain, while also making you highly visible. If you love to ride at dawn, dusk, or during the night, this great-looking helmet is a must-have for safety as the latest in helmet tech. When riding around trails, mountainous regions, on city streets, or your neighborhood, you are always at risk. This helmet is a great opportunity to strengthen your safety and show off the latest technology as a serious rider. It’s aerodynamic, looks incredible, and is clearly a piece for pros and cycling enthusiasts. This Lumos was actually named the winner of “Transport Design of the Year,” by beaszley designs of the year, as well as one of the 12 gold award winners at Eurobike 2016. The features don’t end at simple LED lights — this is a smart helmet. This Lumos integrates the lights, turn signals, hard braking, and other movements into the helmet itself for a solution to visibility and showing your intentions on the road. There are lights on the front and the rear of the helmet for ample illumination.